Today will be the first day of the long-awaited COP21, the 21st Session of the Conference of the Parties (COP21) to the UN Framework Convention on Climate Change, which will aim at finding a global solution to deal with climate change. While other COPs in the past were often on the brink of not delivering a solution, even partial and as it actually happened, for instance, in Copenhagen, this time novelties such as the political involvement of the US and China, and the committed engagement of world leaders such as the Pope, indicate that some sort of agreement is likely to be reached. However, as in the case of Kyoto, it is anything but sure that this agreement will be effective, and it will mostly depend on how the member states at the COP21 will respond to the main structural weaknesses which threaten to essentially undermine it. Considering that, international agreements are always a complicated matter, and the environment is a particularly tricky issue, climate change has per se a number of qualities, which make it inherently hard to address. As Dale Jamieson, professor at the NY City University has often said in his lectures, human beings are not ethically ready to address climate change. This is because it is a long term issue, the 2C target refers to 2100 making it intangible, as it is hard to connect the cause with the effects. Moreover, it is not particularly straightforward to determine who is responsible. In this respect, climate diplomacy has neglected to address a series of issues that are at the core of the possible solution to the problem: what about historic emissions? From 1990 to 2011 43% of emissions came from the US, China and Europe. If we extend the period from 1850, the US and Europe alone are responsible for 52% of the total. What about population? Shall we allow emissions on a per capita basis, as we expect each human to have the same right to the atmosphere as anyone else? Or on the basis of GDP, to take into account how efficiently people use their allowance? If these questions have not yet been directly addressed by climate diplomacy, it is likely because we are still at an early stage, in which most of the work has been focused on bringing the countries to Paris with the right mindset. This “practical” diplomacy seemed rather focused on aligning the reductions proposed by the INDCs which were developed under the political and economic budget constraints of the individual countries. In this respect, Paris will have more of a coordinating, than a structural role. However, even if a more “architectural” approach to the agreement is not possible, at least three main fundamental issues should be addressed to deliver an agreement at the same time flexible and robust: choosing between a binding or non-binding agreement, reserve funds for adequate climate finance, and enabling transparency. These questions need to be addressed by radically changing our approach, and perhaps looking for a guarantor outside the UN, a role that may be taken up by the G20. 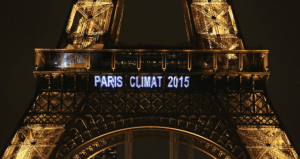 Even if a legally binding agreement seems the most desired outcome of the COP21, the choice is not so straightforward. Supporters of this option are, for instance, the EU Member States, while the US opposes it: its Secretary of State John Kerry strongly stated that the outcome of Paris will not go in that direction. A legally binding agreement will of course increase the accountability of countries towards their commitments, boosting its predictability and thus providing a stronger framework for investments. Nonetheless, it will require an incredible amount of political budget, just to get an agreement in Paris. Considering the case of the US: although the Obama administration could get behind a binding agreement, the Republican majority in the Senate will then make ratification a difficult task. Considering the political inertia with respect to treaties in the European context where it is often hard to find consensus with less then 30 countries around the table (as in the case of the European Constitution), it is hard to imagine the 193 UN member states will do a better job. Furthermore, the treaty should not only be signed: it must also be applied. A goal which will suffer from the lack of international institutions with the theoretical and practical power to enforce international law and penalize countries which violate it. , This has been proven in the past when countries blatantly disregarded international law without facing any serious consequences, as in the case of the invasion of Iraq. A nonbinding agreement will be a more flexible solution, easier to obtain and refocus if ineffective. An option particularly fit when considering the urgency of climate change , and the need to come to an agreement. More importantly, such a solution will help shifting the focus from states, to a more varied approach. Dealing singularly with sectors, rather than with countries, is an interesting option, as emissions come mostly from a limited number of sources: 81% of global emissions in 2012 came from energy production, out of which 50% for electricity generation. Furthermore, many of the sectors which are responsible for the largest shares of emissions, heavy industry and the automotive in particular, are often highly concentrated. This makes them a valid interlocutor on climate change and the dialogue, being borderless, is at the same time more complicated, but also suffers less from political barriers. Corporations are also already involved in emissions reduction and, as the non-profit CDP reports, already 44% of them have commitments which go in that direction, including large players, such as Apple and Samsung. However, as the private sector is even more difficult to lock into legally binding measures, an increasing focus should be given to the economic convenience of the agreement, and so to climate finance and its tools. In both the binding and non-binding case, climate finance is fundamental: any agreement will not work, if it is not practicable. Decarbonisation is now significantly cheaper, compared to the Kyoto years: renewable energies are expanding at a rate the world has never seen before,in 2014 alone 130 GW of additional RES capacity was installed. Auctions have shown some of the lowest prices for solar and wind ever in several countries, such as Egypt, India and Chile, where the US6.5c/kWh value was the lowest price for unsubsidised solar ever, cheaper than electricity generated by coal fired powered plants. However, even if several renewable technologies are now mature, the situation is still far from optimal. In the energy sector, for instance, many constraints still hamper the development of renewables: among others, market barriers, insufficient grids and an uncertain political support, as in the case of Europe. The International Energy Agency estimates the global value of fossil fuels subsidies in 2014 at 490 billion dollars, that's 3.5 times more than subsidies dedicated to renewables. There is also a significant difference between the global picture, which has certainly improved, and the situation for individual countries, many of them still lagging behind the global average. For example, there is still a strong mismatch between the providers of finance, and the recipients. Countries which have the strongest potential and need for decarbonisation, are often those suffering from the greatest difficulties. Northern African countries, for instance, are endowed with great renewable potential, have a high energy intensity and a growing energy demand, but they are still strongly reliant on fossil fuels. Egypt's primary energy consumption in 2013 came 96% from fossil fuels, for instance. Climate finance is often hampered by the perceived risk of new technologies by governments and regulators because of their unfamiliarity with them, and even the private sector is prone to this. The management of natural resources is often influenced by short-termism, as in the case of Indonesia, which is still unsuccessful in implementing the same measures to combat deforestation, that helped reduce the phenomenon in Brazil since 2004. The ambitious objectives in reduction of tree loss are in fact incoherent with the amount of concessions for oil palm and wood fiber exploitation, and this is only part of the problem. One of the objective of the COP21 agreement should be mainstreaming measures against climate change, making it the national priority of the member states signing it. In this respect, a solution associating the national and local level with the international framework, will be the most effective, possibly shifting from a top-down and supply driven approach, to a localised and demand focused perspective. An option which, however, has to be supported by adequate transparency. Transparency should work on several layers, from private to public, and from national to international commitments. As an example, the fact that Facebook has not yet disclosed data on its climate impact, as Google or Samsung have already done, is a sign of its low involvement in climate action. Generally speaking, lack of data is one of the major obstacles to the effectiveness of any kind of agreements Paris will deliver. Even if the Green Climate Fund will be finalized, the already limited financial framework could be rendered useless if corruption and lack of publicity will divert the money to where it is less needed. This is already an issue in several international environmental treaties, such as the Convention on the International Trade in Endangered Species (CITES). Some of the 2013 and 2014 imports of Afrormosia timber in Belgium were recognised as legal by EU authorities, but a Greenpeace inquiry revealed how the authorisations from the Democratic Republic of Congo were completely false, often with the signatures of dead or retired local officers. What the analyses of Transparency International shows regarding funding programs such as the REDD+ and its Forest Carbon Partnership Facility’s Readiness Fund, is that there is at the same time a need for large amounts of money to sustain the competitiveness of zero carbon options, but that this money is very easily diverted to where the most powerful local and nation-wide interests are. Especially when the governments themselves do not have a clear control on their bureaucracy. However, transparency should not only work at the local, but also on the international level. Data should be provided in a transparent and reliable way to the UN, or whoever will be in charge for it, to assess the actual evolution of climate commitments. Lack of quality data has been an issue in the evaluation of the Millennium Development Goals, as in the case for education targets in countries such as Nigeria, and it is the best excuse for governments not to respect their commitments. Transparency on the international level will also not only improve the quality of action, but also help making the fundamental leap towards considering climate change a truely borderless issue, by making countries mutually accountable for impact of climate actions. A need which, however, leads to another question: to whom shall countries be made accountable, and who will be the watchman? The best way to answer these three questions would be to understand who will be actually responsible for the agreement to work. It is very positive that the COP21 will see an extremely varies involvement, with NGOs and private companies, alongside institutions and governments, and from different countries, as it will see Obama, Putin and Xi Jinping together with the representatives from the other 190 UN member states. However, it is not clear who will take care of guaranteeing the success of the agreement. The UN has neither the political muscles nor the manpower to take up such a role. As it is still impossible to imagine a new international institution, or a reformed version of an existing one, to act as a “climate change watchdog”, and the focus of international politics is still on states, then maybe we should consider the following: the G20 countries are responsible for 80% of global emissions: an ad hoc platform among them could already deliver efficient results in terms of CO2 reduction, and, if planned outside the UN, will avoid some of the structural weaknesses of the institution (such as the Security Council blockage). Obviously, this is only a temporary option, and a truly global solution has to be delivered sooner or later. However, as international law is still fragile and ineffective, and international institutions unable to deliver a result, mutual control and self-adjustments among the countries mostly responsible for climate change can be a solution now that climate change needs an immediate response. We will consume our carbon budget some time between 2040 and 2045, and we are still planning, Europe first, coal plants which have a life cycle of at least 20-30 years. In 2013, LSE and the Carbon Tracker estimated the annual expenditure in stranded assets for 2012 at about 674 billion dollars. Thus, a G20 solution for climate change, or any similar less global options, should be justified by a simple concept: climate diplomacy, climate action, but even climate awareness are at such an early stage, that we are unable to think of the COP21 as an arrival point. Rather, this is a beginning. This is the starting point to enhance cooperation on renewables, exchange technological know-how and mainstream climate policies also in players less keen on climate action. It should silence climate deniers, and bring the discussion on climate action from if we will do it, to how we will do it. The EU 20-20-20 package showed the willingness of Europe to foster climate action despite other country's lack of commitment, in the name of a “leadership by example”, which would sooner or later be paid back. If the EU overestimated its individual role, and the convenience of such an option at that time, when considering the impact of such a move by the US, China and the other G20 countries altogether, this is not the case anymore. Thus, from Paris, we need an effective, cost efficient and transparent agreement for the world. From the G20, we will need the proof that this can actually work.